I love New Orleans. There, I said it. It’s one of my favorite places. I love the food, I love the jazz and most of all, I love the people. 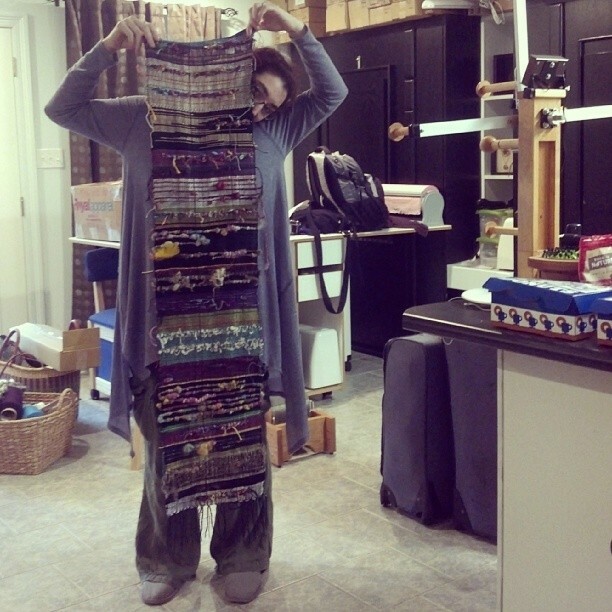 So when given the chance to come teach there, I needed no arm twisting! 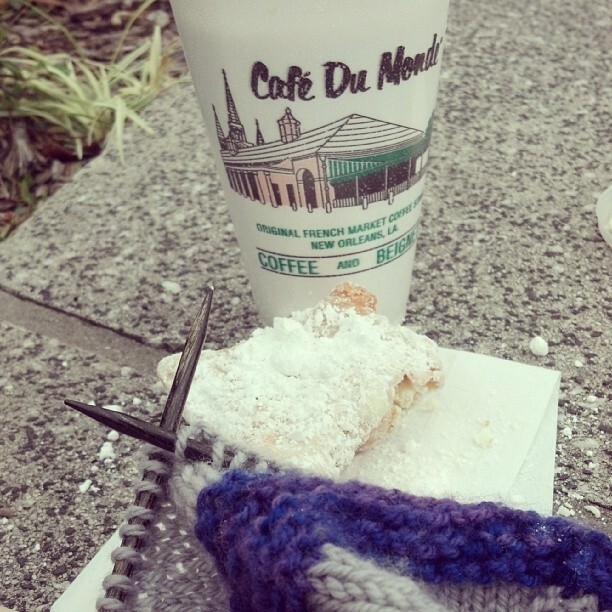 The next morning I enjoyed Cafe Du Monde coffee and Beginets outside Jackson park while I knit and listened to the most amazing Tuba and Violin player. Then I spent a leisurely afternoon walking around the Garden District. 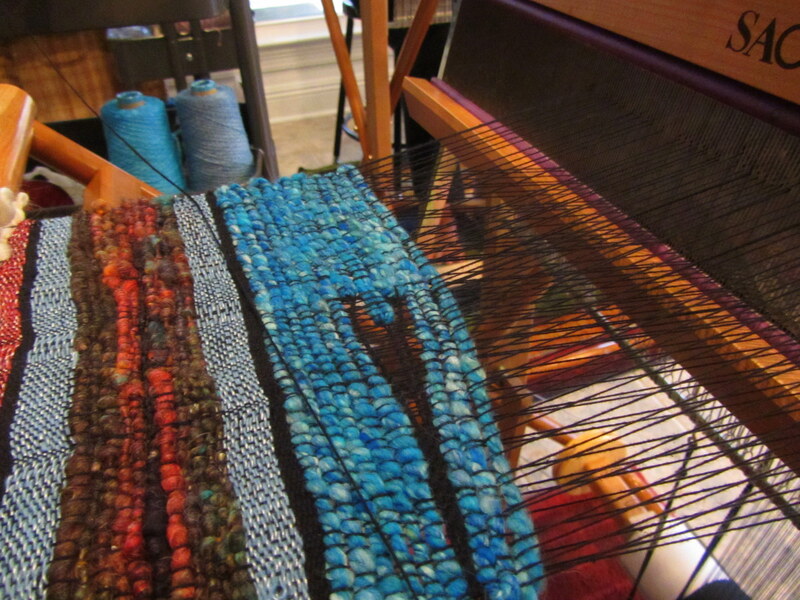 The colors of the houses have inspired my first 2014 fiber collection! 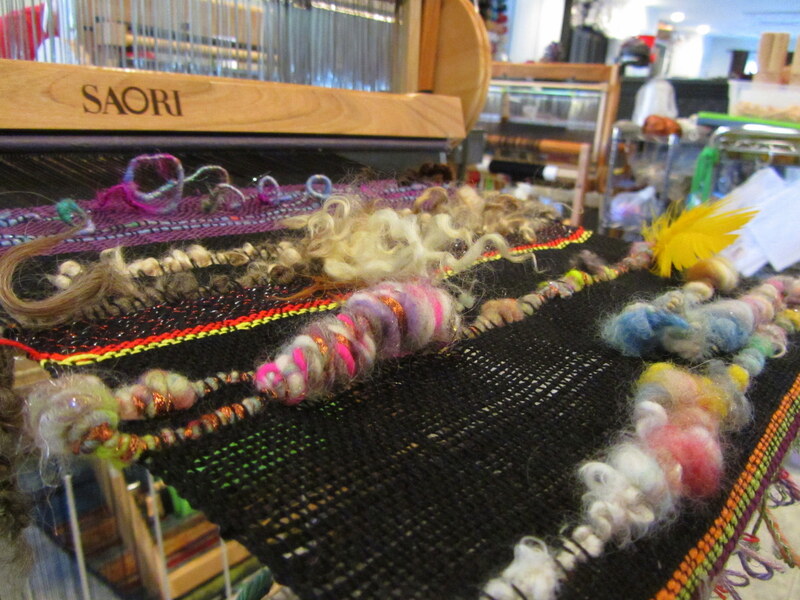 I was joined by my weaving partner for the weekend, and co director of Weavin’Place SAORI Style, the studio that was hosting the workshop for the weekend. After another round of oysters we were off to the studio for the weekend. And what an amazing weekend it was! 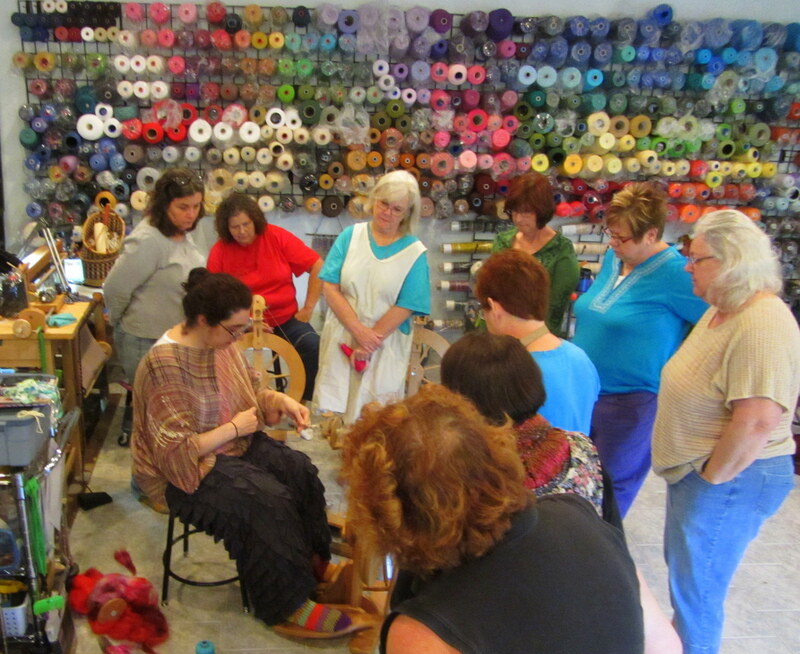 I spent the first 2 days teaching creative spinning techniques that look especially good woven. 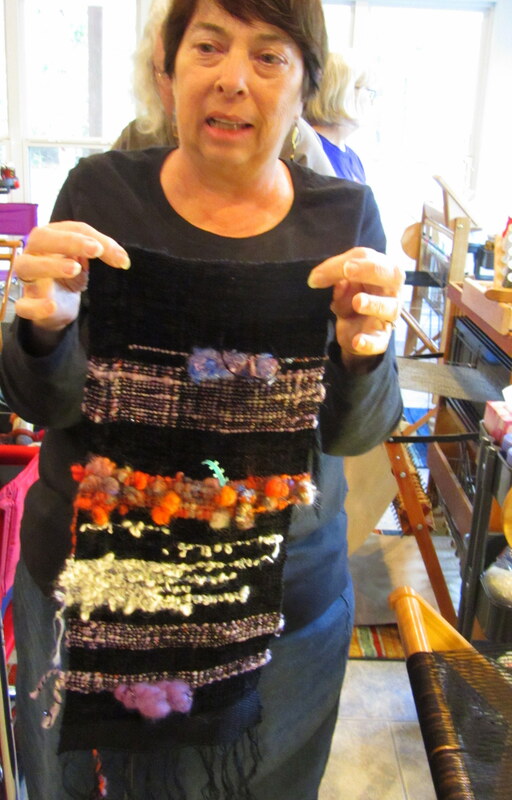 We worked on boucle, stacks, loops, twists and spiral plies. 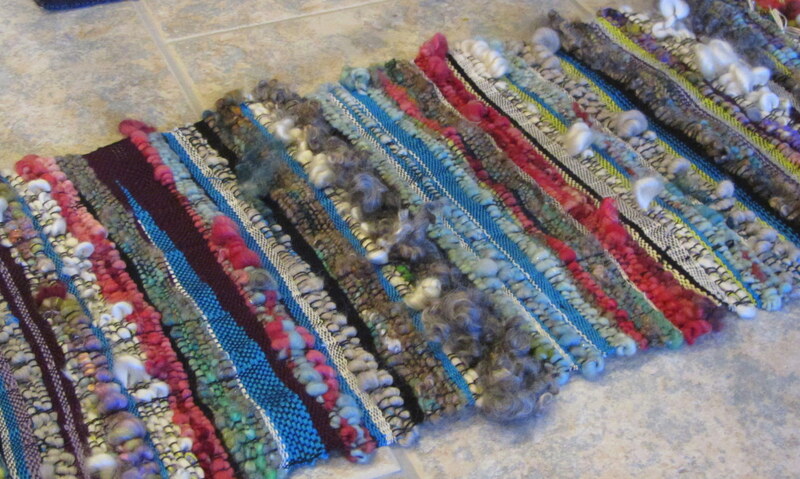 We navajo plied funky textured singles and we corespun on wire and elastic! 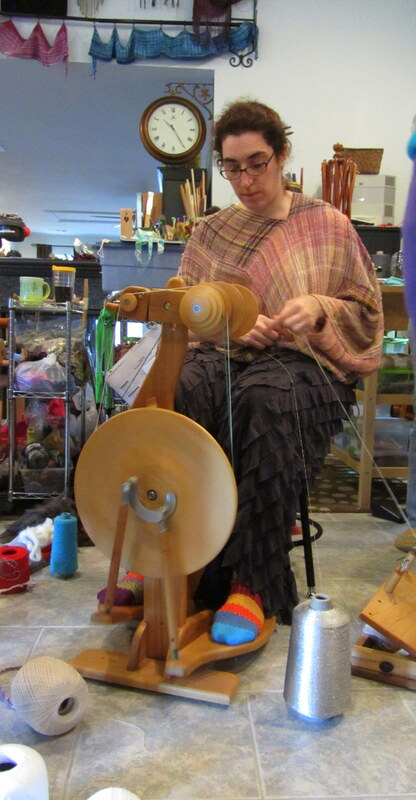 We also got into a bit of tailspinning and lockspinning as the final spinning challenge. 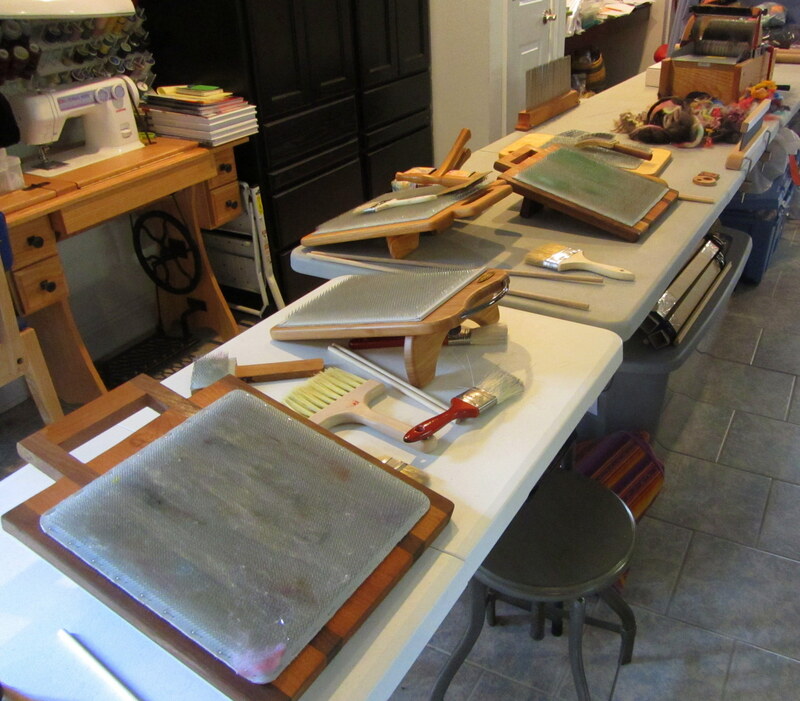 There were carders and blending boards, as well as hackles and a picker! People were going crazy with their combinations of prep and technique! 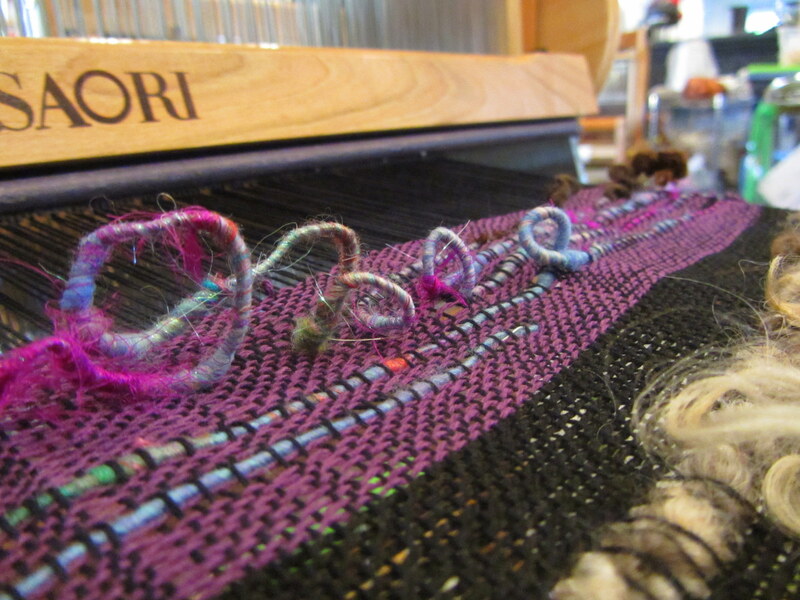 The final day was the weaving portion of the weekend. 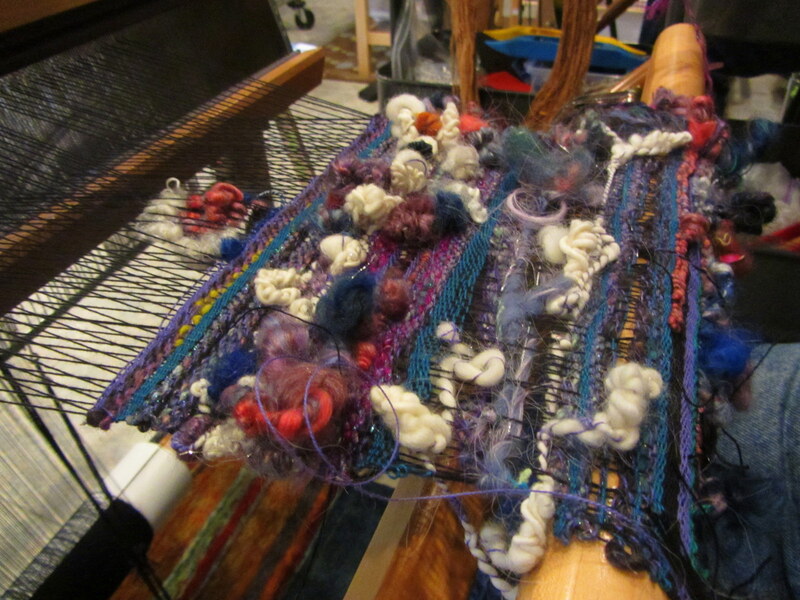 Jenny explained how to give the handspun yarns space to breath in the woven cloth and it was amazing watching everyone weave with such creative abandon. 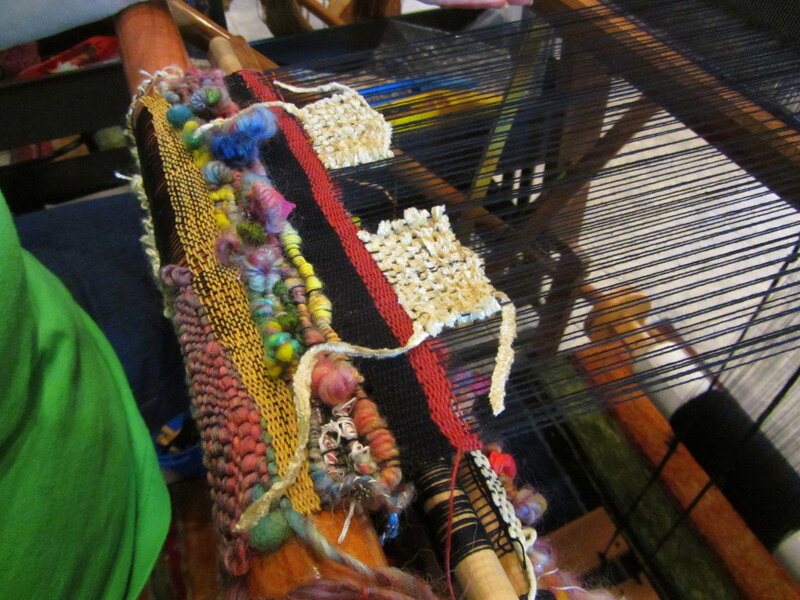 Everyone was using their handspun in different weaving techniques, and each one was breathtaking and unique. 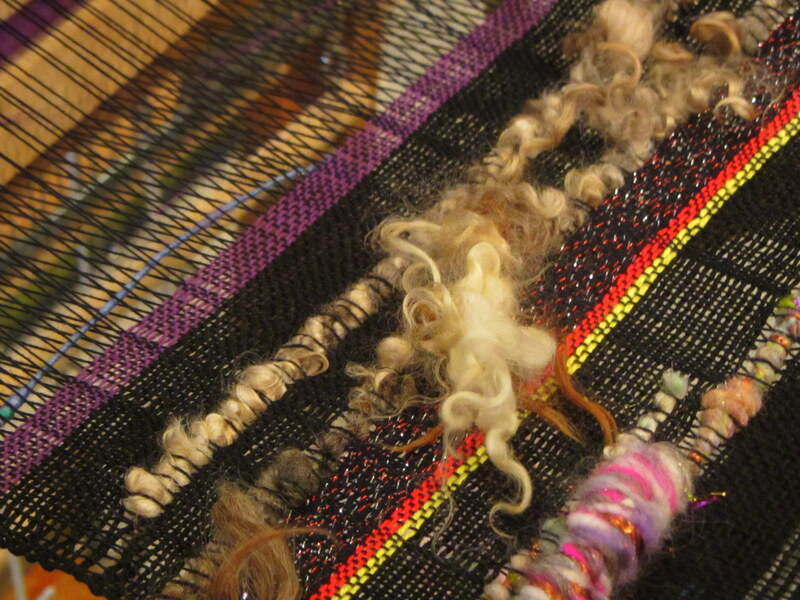 There were clasped wefts with boucle and slubby floats. It was such fun to see how different everyone’s story progressed. 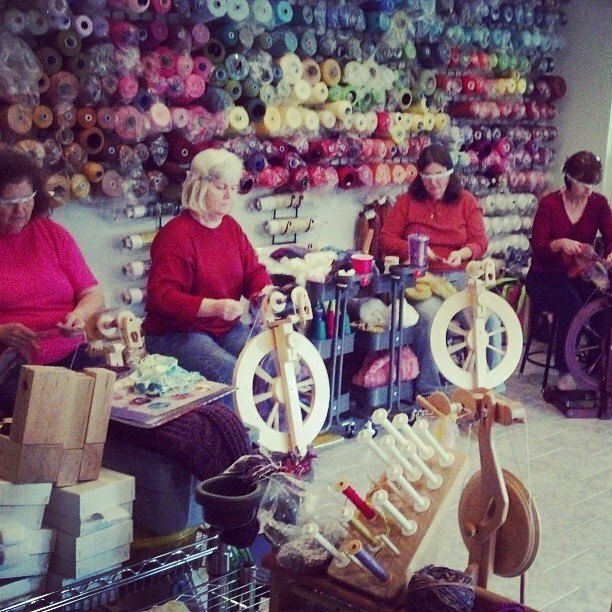 At the end of the day everyone was thrilled with their new spinning skills and weaving techniques. 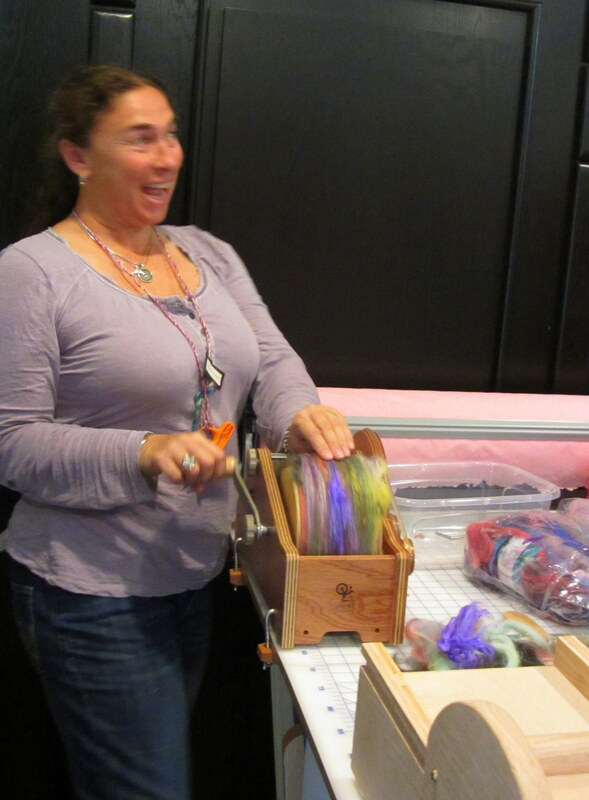 There were many that ordered blending boards and a few new loom owners as well. It’s always great to see someone get bitten by the bug, and bitten hard!! The weekend was fantastic! Home made gumbo, shrimp and sweet corn chowder and lamb curry!! And a super fun night out in town together for, of course, more oysters for me! Jenny and Cheryl from the studio are amazing and I can’t wait to come back next year! 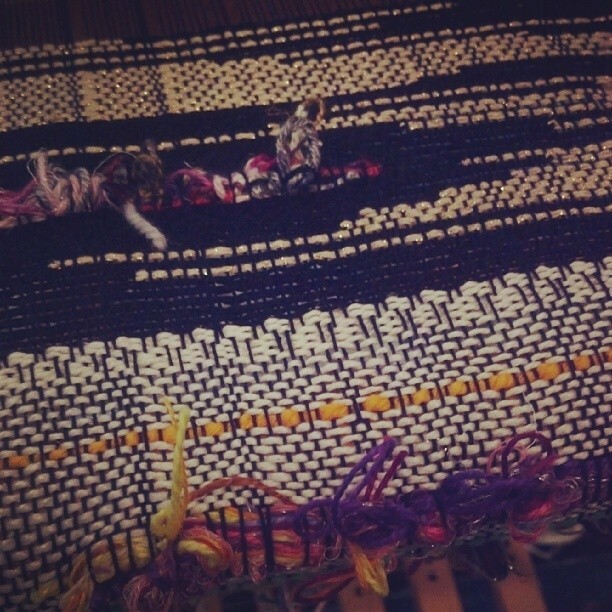 We have some fun things in the works fo’sho! 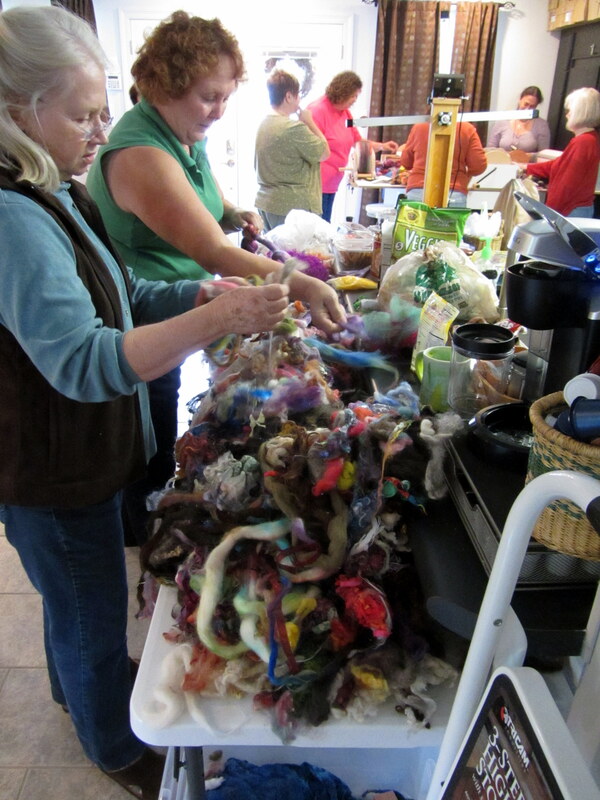 ← Another Fall, Another SAFF Goneby!